The scientific board functions as a group of Deaf and hearing experts to feedback on the different research and development projects of SLAS and the latest business developments. The scientific board meets once a year. It consists of voluntary members, each with a different area of expertise. Dr. Penny Boyes Braem is a psycholinguist who has specialized in research on the sign languages of the Deaf. She completed her academic studies in the USA with a MA from Harvard University and a PhD from the University of California Berkeley. Since 1974 she has lived in Switzerland where, in 1982 she founded the Center for Sign Language Research (Forschungszentrum für Gebärdensprache, FZG) in Basel. The FZG is an associate member of the Zurich Center for Linguistics (ZüKL) at the University of Zurich. 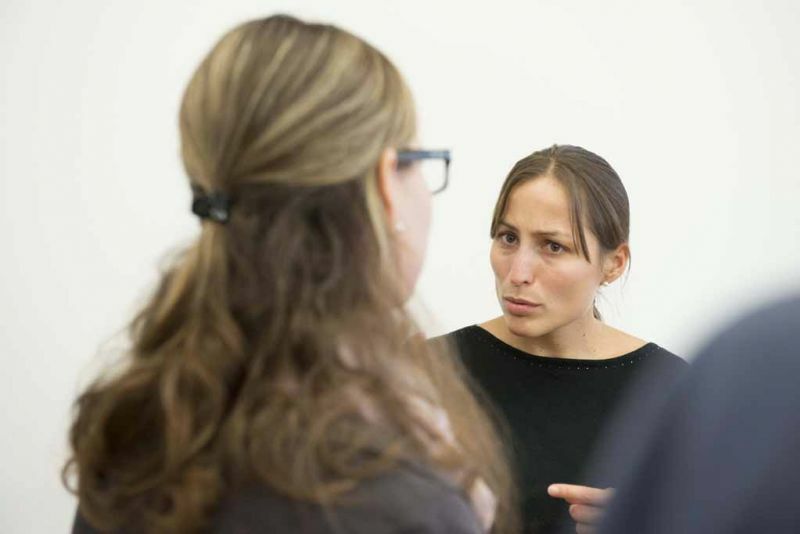 Over the course of the following years, she has studied different aspects of Swiss German Sign Language (Deutschschweizerische Gebärdensprache, DSGS) as well as gestures used by hearing people, often in collaboration with colleagues and institutions in Switzerland and in Europe. Penny Boyes Braem’s research has included, for example, the development of a large lexical databank for DSGS, a comparison of the linguistic forms used by early and late learners of DSGS, the use of the mouthing component of sign language, as well as aspects of prosody in this visual form of language. The Swiss National Science Foundation has financed several different research projects of which Penny Boyes Braem was the Principal Investigator. She is author of numerous peer-reviewed journal articles, has published two books on sign language research and has presented research on sign language in numerous courses and guest lectures in Switzerland and abroad. Prof. Dr. Martin Meyer studied neuropsychology at the Free University Berlin. From 1996-2000 he proceeded with his PhD project at the Max Planck Institute of Cognitive Neuroscience in Leipzig, Germany. Further postdoc positions were at the University of Edinburgh, University of Zurich, and University Hospital of Zurich. In 2009 he acquired the Venia Legendi (Habilitation) at the University of Zurich. Since 2011 he is Assistant Professor for "Neuroplasticity and Learning in the healthy aging brain" and Co-Director of the "International Normal Aging and Plasticity Imaging Centre (INAPIC)" at the University of Zurich. Martin Meyer's research interests primarily cover the neurocognition of language and hearing across the life-span. In particular, his research addresses the question, how the human brain has evolved the faculty of language and how the human brain acquires one or several languages during life-time. He has a long record of peer-reviewed publications.